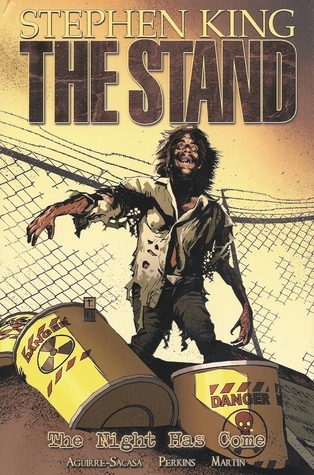 The entire novel of The Stand was turned into a limited graphic novel series. The adaptation is really well done, using images to replace a lot of text, but not losing the spirit of the novel. There are six volumes in this series. I read one of the volumes in between other books. I had thought I had finished when I realized I hadn’t read the last one in the series, so I finally did that the other day. Here are mini reviews of each volume in the series. 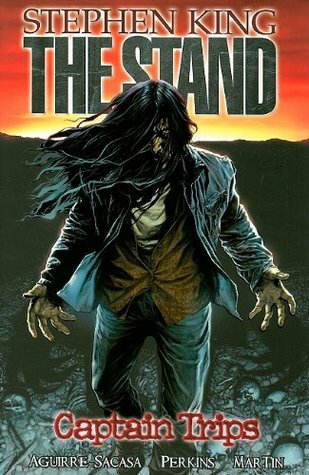 This is the first book in the series that covers the very beginnings of Stephen King’s The Stand in graphic novel form. This was so much better than I expected. After reading the book (loved it) and watching the tv miniseries (which I found decent but lacking is so many ways), it was refreshing to read this version of the story and brings back all the details that never made it to the television version. It tells so much in a few panels without any major loss of details when I compare it to the book version. I love that Randall Flagg looks like I had imagined him in my head. I have been trying to get the goofy mulleted Jamey Sheridan version out of my mind since there is nothing about that guy that is scary to me. The Randall Flagg that is introduced in this first book comes across as imposing and formidable with real danger radiating off of him. All of the interpretations of the characters that have been introduced so far match so much what I envisioned from the book from Stu Redman, Frannie Goldsmith, Larry Underwood and Nick Andros. I did imagine Lloyd to not be so big but I still feel it works. I can’t wait to get into the next book since it reminds me how much I like this story! 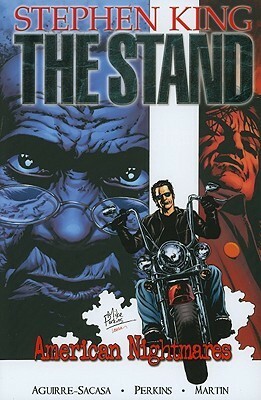 The second in the graphic novel adaptation of The Stand. 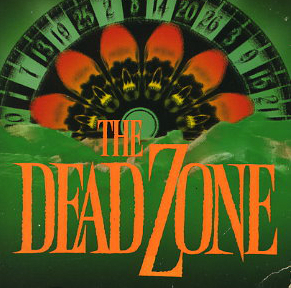 Most of the population has died off and the remaining survivors all start moving towards other areas of the country looking for other people or something else besides the death that is everywhere. While learning what happens with Nick, Stu, Frannie, Lloyd, and Larry, we get introduced to Rita, Harold, and Trashcan Man. Everything that I remember being annoyed about by Rita and Harold comes through in this version. They are wonderfully written characters that I know would drive me crazy in real life and that all comes through in the pages. I understand the frustrations of Larry and Frannie with Rita and Harold, respectively. Trashcan Man is his own creation that I think the introduction spells out why he is a fan favorite, even though he is very destructive. 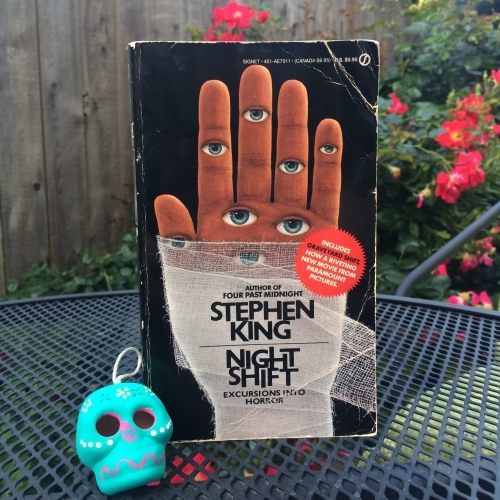 This book covered the idea of being trapped in many different variations from Stu being stuck in Stovington to Lloyd being stuck in prison to Larry and Rita being stuck in the pitch black darkness of the Lincoln Tunnel. These were all terrifying situations. I did like that there were a couple pages devoted to other random survivors of the superflu that didn’t actually live due to accidents or poor choices. Only Stephen King’s mind would go to places you wouldn’t even think, such as people dying because they are hurt in some way and there is absolutely no one around that can help them because most of the population is dead. With a few exceptions, this volume feels like filler, especially with Mother Abigail waiting for everyone to show up to her house. While it is good to know her backstory, it isn’t the most interesting to me. What I did enjoy was Nick meeting Tom Cullen because I really like those two together. Francie’s diary is so important and what happens between her and Harold and her diary is beyond creepy–both his reaction and his face after he has his dark man dream. I didn’t feel as horrified as I did when I first read it in the book when the group came across the rapists in the road. I recall it being a lot scarier in the book and the women experiencing a lot more trauma. That could still pop up in future volumes, but it seemed glossed over in this form. 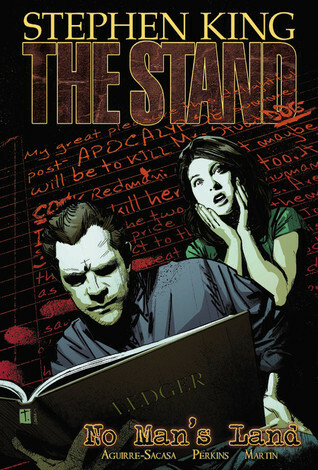 This is the fourth book in the graphic novel adaptation. It starts off focusing on the people following the Dark Man. I was thrilled to see Trashcan Man. He is pure chaos and entertaining to follow. 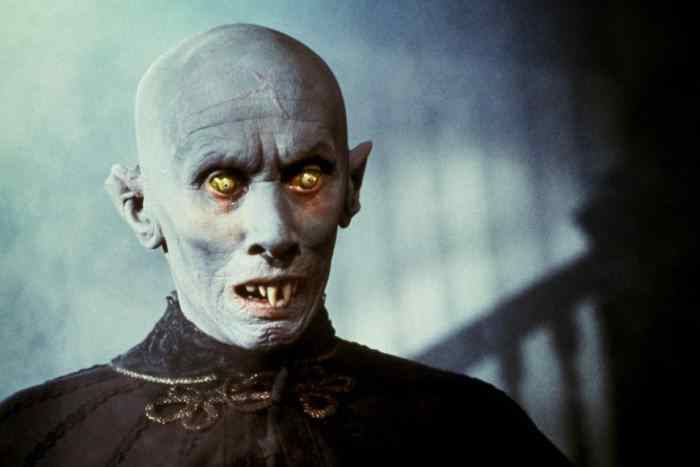 I laughed seeing him as a weasel in Mother Abigail’s corn. I had forgotten about the Kid completely but really enjoyed how that story wrapped up. While this volume does cover some non-exciting stuff like setting up a new government and society in Colorado, it also covers how Nadine and Harold are really starting to not fit in with the good folks. I thought it was more obvious here compared to the book that Nadine doesn’t really want to be there. I felt like she was more conflicted in the book. Fran finding out about Harold and her diary was terrifying for her and I never understood why she keeps it from Stu. 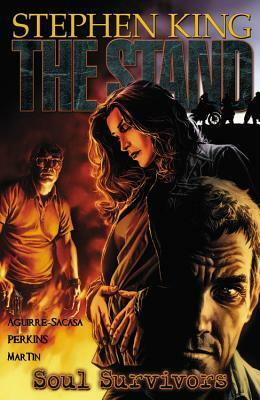 This is the penultimate volume of the graphic novel series based on Stephen King’s The Stand. It has to pack a lot of information into this volume, but I think it has done it really well. There were some statements made from some characters that I don’t remember being so obviously stated in the book, but I feel like they were done here to move the story along. I felt like it worked, even though various themes were a bit subtler in the book. No time is spent with Flagg, even though his influence is felt everywhere. Spies are sent over to Las Vegas to see what’s going on there so they can report back to the Boulder Free Zone about what they are up against. There is also a part where Tom Cullen is under hypnosis and seems to know way more about Flagg than anyone expected. Then, there is Nadine. She makes one last ditch effort to be with Larry, but it is too late. She strung him along too long so he pushes her away and she runs to Harold since he’s the only other one in the Free Zone that really shouldn’t be in the Free Zone. Some of their relationship gets cut here, but I felt like enough of it was included to get the idea that they are really using each other to get to Flagg, even though they both have doubts about joining him. If only they talked to each other about it, they might not have gone through with their evil plan. 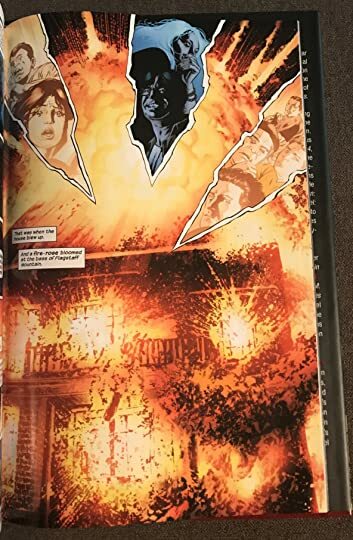 I really loved the artwork for the explosion and for Nadine and Harold fleeing to head west. 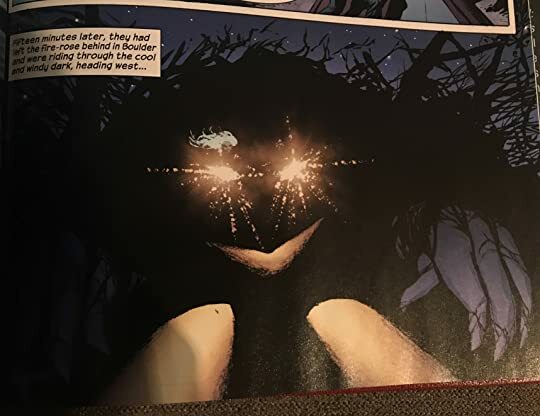 That silhouette of Flagg in the shadows and headlights of their scooters was my favorite image in the graphic novel. This last issue in the graphic novel series is excellent. Everything comes together for the big showdown between good and evil, and there are people in Las Vegas that are not all evil and people in Boulder that are not all good. There’s a spectrum of people everywhere. Trashcan Man makes quite an entrance back into the storyline when everyone had probably written him off. After that spectacle, it is almost a bit of a letdown of wrapping up the story. I felt that way in the book too, but there is still plenty of creepy imagery from Stu’s dreams that he has of Frannie giving birth. Those were some of my favorite illustrations in the graphic novel. I also chuckled at the little cameo that showed up in the Hand of God part. 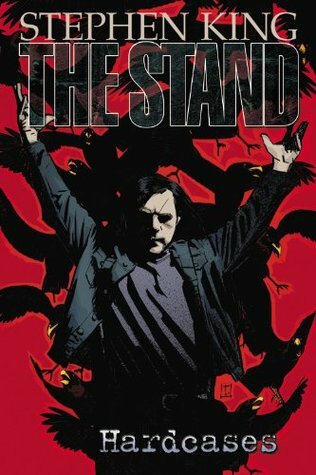 I found this entire graphic novel version of The Stand outstanding. It had to leave out some plot points, but they were very minor. It really got to the meat of the story in its translation. Excellent storytelling and excellent illustrations. I highly recommend it.